I send loads of people to Lewis’s. In an era of my life where I am still genuinely shocked that people request my opinion, the question of the city’s best breakfast is always met with the corner spot on Saint Mary’s Row. It’s not because I can practically see what they have chosen from my flat window (though this is a perk), it is because it is the best breakfast. No fanciful plating, just the finest of ingredients cooked carefully and treated with respect. And the people who I send seem to agree. I know this because they are often arse-deep in one of the chairs whilst I am waiting in line for a table. Now, no more breakfast talk. I’ve covered it before if you can be bothered to search for it, and my view hasn’t changed. We’re here for Gemmayzeh Nights, the Lebanese evenings held every Thursday and Friday. 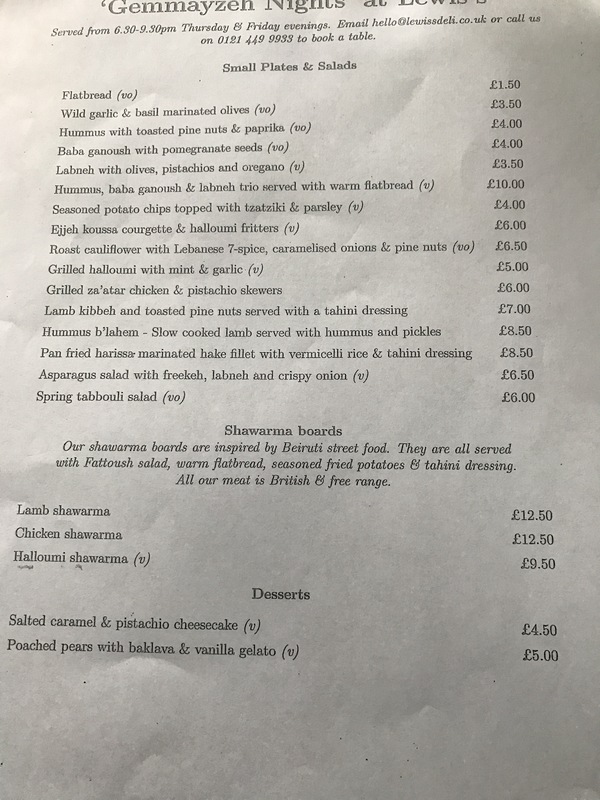 I have to say when I first heard about this I thought it was a curious move given that Lewis’s faces Damascena, with the latter doing the food of the Middle East very well seven days a week. Still my girlfriend wanted to try it and I have learnt to do as I am told. We order a very nice bottle of red from an all Lebanese list and order from a menu split into smaller plates and shawarma boards. 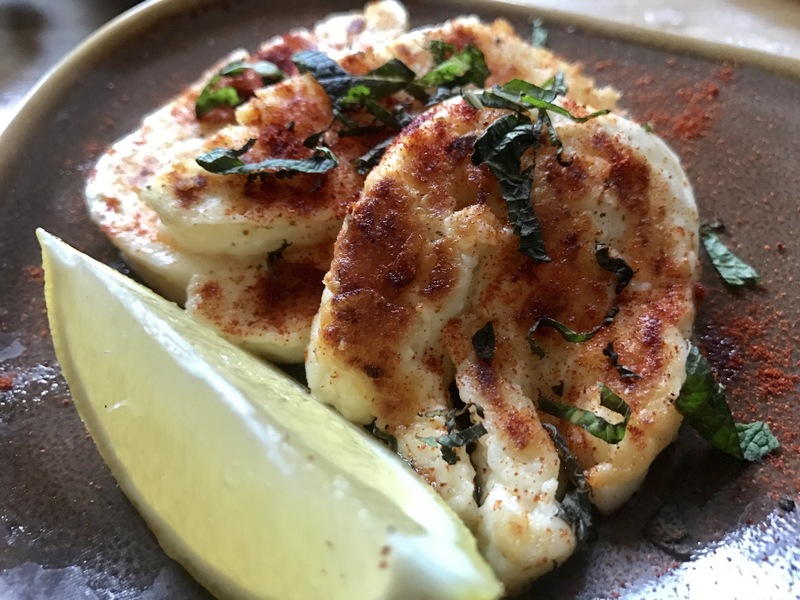 Food arrives as and when it’s ready, the first dish being a grilled halloumi dusted with spice and chopped mint that lifts the bland cheese. 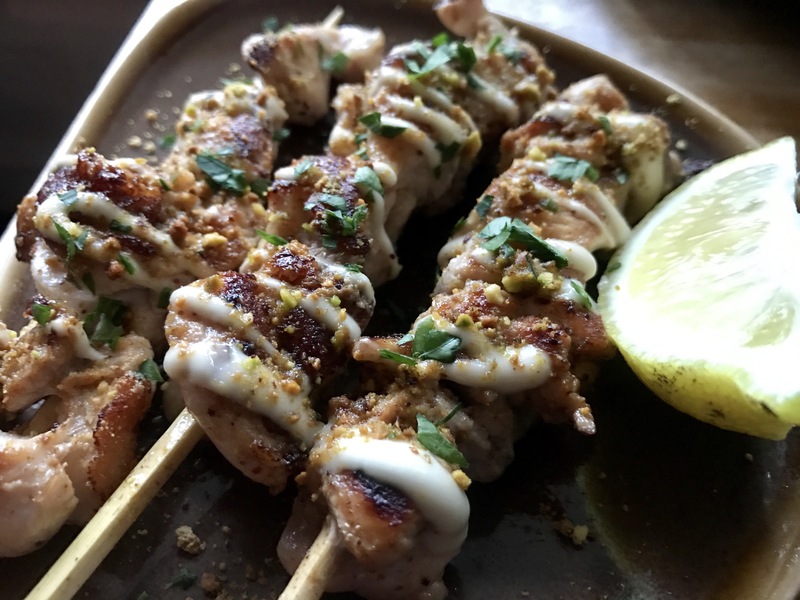 Skewers of chicken have zatar, that woody and zingy aromatic, to thank for lifting them well above the norm. The quality of the meat is superb – it is this ability to source produce that separates them from all else. 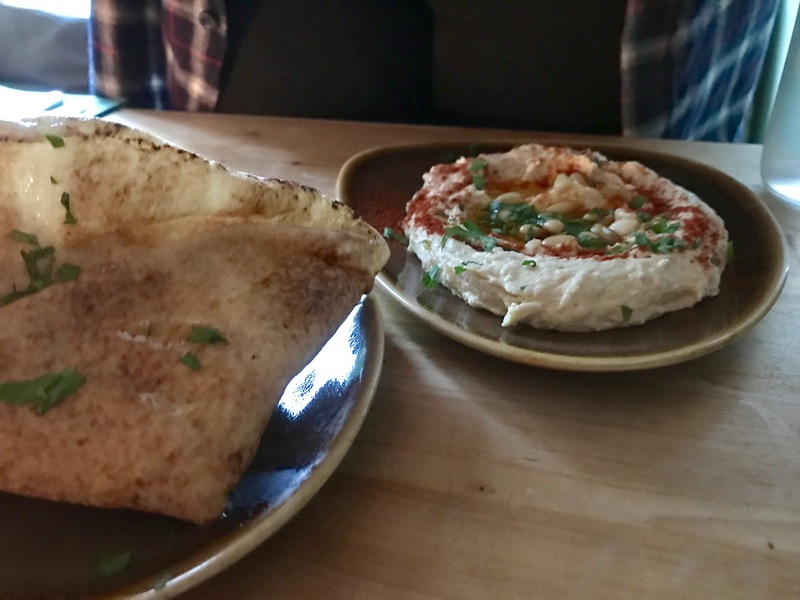 A trio of the more coventional dips arrives with flat bread. I think that the labneh, strained yogurt to the unwise, has the whiff of Philidelphia cream cheese about it, a notion I am told is ridiculous. It does. 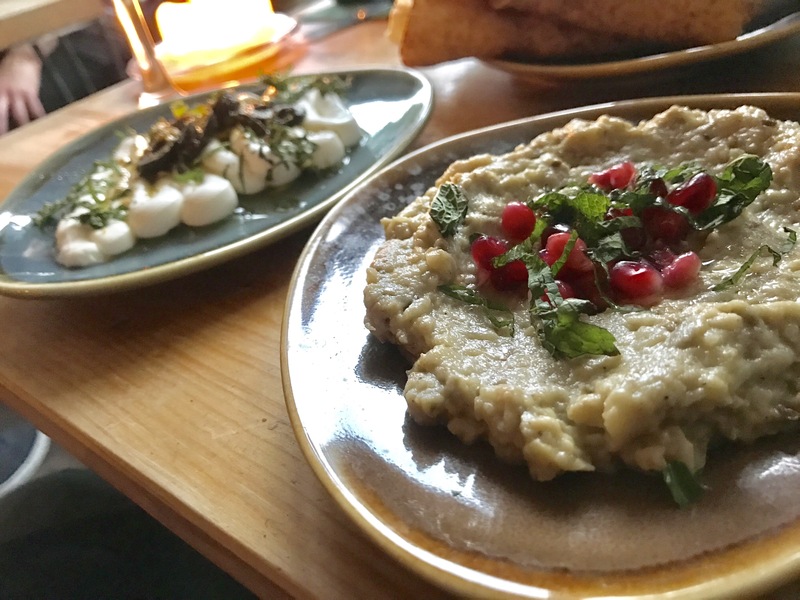 We both agree that the hummus has a great texture to it – not overly blended to a wallpaper paste as often is the case – and a rich flavour with plenty of tahini and lemon juice. And we also agree that the baba ganoush could do with more garlic heat against the smokey aubergine. All three bowls are quickly shammied clean with the flat breads. 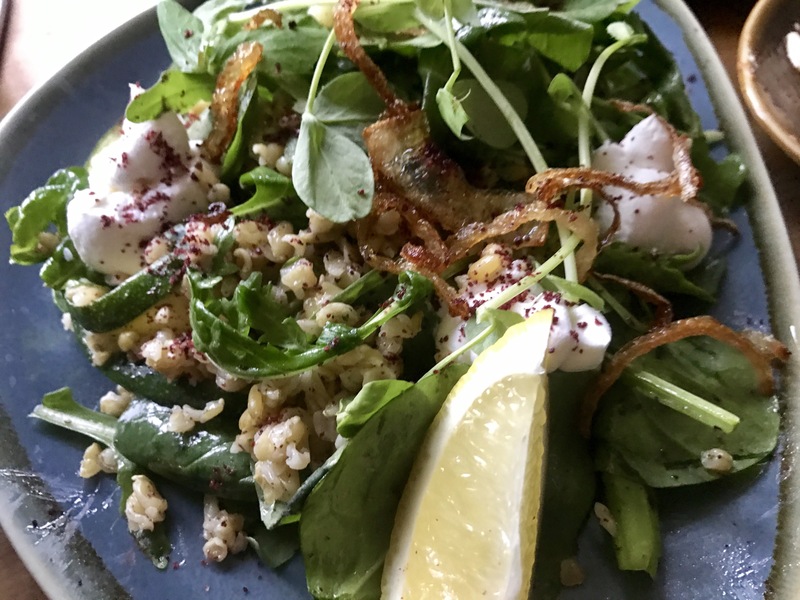 We finish up the small plates with fine slices of asparagus, freekah and labneh. The entire plate is dressed in a bright acidity that lifts all it touches. It’s a simple thing executed well. Given the quality before, the shawarma is frankly a disappointment. 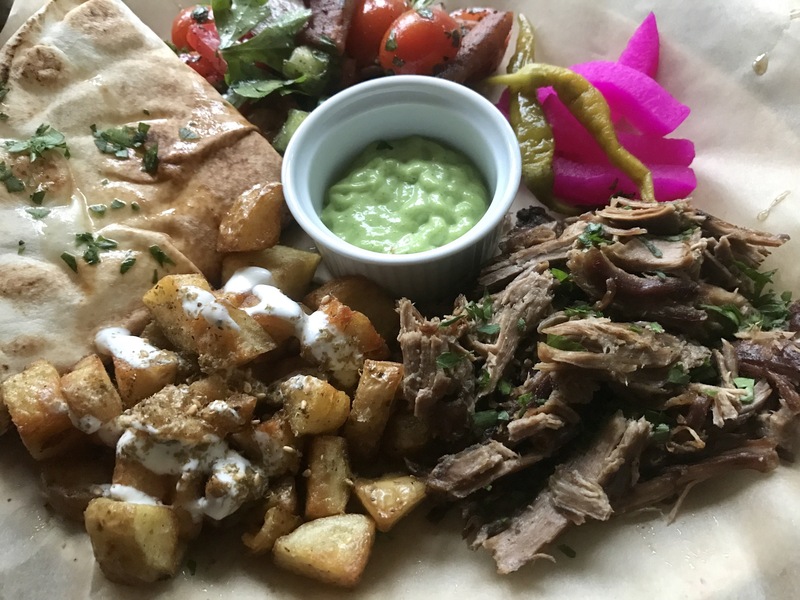 Forget that the crispy potatoes are good, the pickles perfectly made, or the salad well dressed, this dish lives and dies on how good the meat is, making this Death by Lamb. The meat has little in the way of taste, and has dried out a little due to overcooking. At £12.50 this is the most expensive dish on the menu and the one I’d probably recommend least. This being Moseley village, expect to pay for the experience. Our bill of £70 includes a £30 bottle of wine, leaving a figure for the food that pushes the top limits of what it’s worth. It’s a nice night and I admire what they are doing, but if I’m being really honest I’ll be saving the return visits for lazy weekend breakfasts.